Louth Contemporary Music Society in association with Louth County Arts Office and Dundalk Arts office present The Kronos Quartet with special guest Wu Man in the Irish premieres of Tan Dun’s Ghost Opera & Terry Riley’s Cusp of Magic in An Tain Theatre Dundalk on 13 July 2009. Both works were specially written for the Kronos Quartet and are available on cd recordings from Nonesuch records. Kronos has become one of the most celebrated and influential ensembles of our time, performing thousands of concerts worldwide, releasing more than 45 recordings of extraordinary breadth and commissioning more than 600 new works and arrangements for string quartet. Kronos’ work has also garnered numerous awards, including a Grammy for Best Chamber Music Performance (2004) and “Musicians of the Year” (2003) from Musical America. Tan Dun’s (Crouching Tiger Hidden Dragon) Ghost Opera is a five movement work for string quartet and pipa, with water, metal, stone and paper. Ghost Opera is written for string quartet and pipa with paper, shadow, and water gong basins placed around the performing space. The performers’ movements reflect the back-and-forth between spiritual realms that is characteristic of the ‘ghostopera’ tradition. 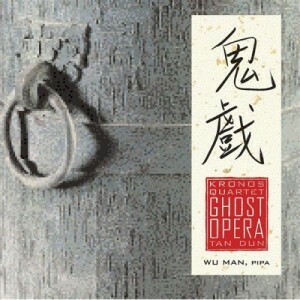 In composing Ghost Opera, Tan was inspired by childhood memories of the shamanistic “ghost operas” of the Chinese peasant culture. In this tradition, which is over 4,000 years old, humans and spirits of the future, the past, and nature communicate with each other. The work employs elements from the European classical concert tradition, Chinese shadow puppet theatre, visual art installations, folk music theatre and ritual. 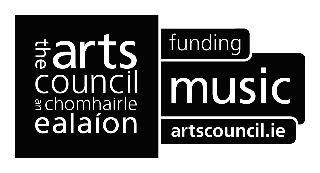 The Kronos Quartet with special guest Wu Man are presented by Louth Contemporary Music Society in association with Louth County Arts Office and Dundalk Arts office. 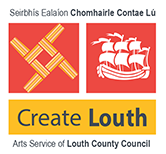 The performance of Ghost Opera and the Cusp of Magic is funded by The Arts Council / An Chomhairle Ealaíon and financially supported by the Dundalk Arts Office, the Louth Arts Office and Fáilte Ireland. David Harrington of Kronos was interviewed on the BBC’s Sounds Classical on 10 May 2009 talking about Kronos new cd Floodplain and the Dundalk performance.